I came to Nepal with a notion of doing something that would be meaningful to me and perhaps significant to others. My visit has taught me to be just as enthusiastic about the success of others as you are about your own. 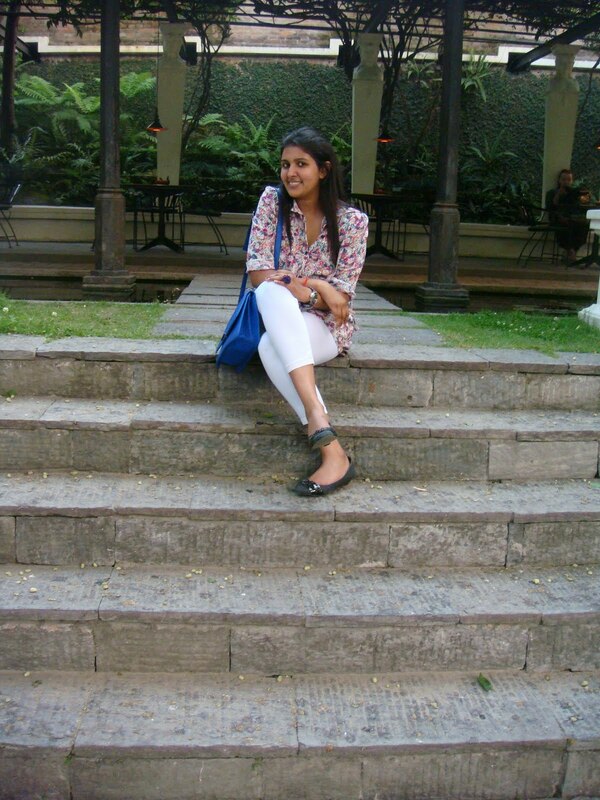 Renu - you are an angel and your ‘angels’ are lucky to have you in their midst! 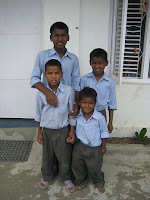 We decided that teaching Upendra to read English, one-on-one, would help him catch up for he was illiterate at fourteen. With a crash course in English reading he would qualify for first grade! 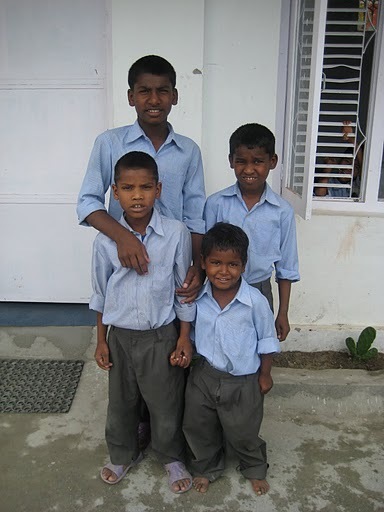 On my first day of tutoring Upendra, I was very impressed on how easily he understood the rules of reading English. I tried to remember my phonics lessons from pre kindergarten and decided to adapt the rules. I slowly learned that his initial success wasn’t lasting. Every single morning it was like the first day all over again; re-teaching the same long and short sounds for each letter again and again. For the first five days we went over the same rules again and again, not adding anything new in case he got confused. It was slow and frustrating progress. After those first few days I realized that I would need to make the class more entertaining if I wanted Upendra to respond. I started to create little rhymes for him to remember what sound each vowel made. Immediately I started to notice that this augmented his understanding and more importantly his memory! He was improving, but I knew he could do better. The next day I gave him a large chocolate bar hoping to make him focus more. Later that day I tried to ask him if he liked the chocolate bar, but he couldn’t understand me. Later I found out that he had saved his chocolate bar to share with his younger brothers! His focus did pick up and his interest seemed to kick in too. 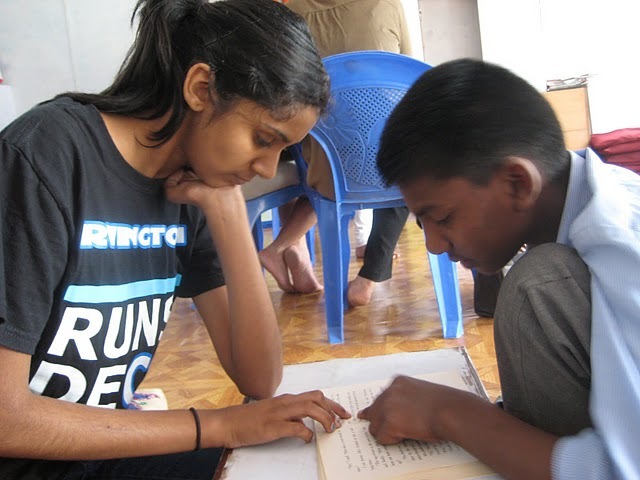 We progressed at a steady pace and our two-week session culminated in Upendra being able to read short story books (second grade level in the US). I left him with an Enid Blyton book at Chapter three with a promise from him that he would keep the book and practice his reading. The part that will be challenging for him is that he will have to learn and understand what he is reading in English by context. Upendra phonetically has learnt to read English but has to slowly learn to appreciate and understand what he is reading. It will be a challenge for him and his teachers at Koseli. I hope he keeps at it, for I sincerely believe it will open up a lot of opportunities and avenues for him in his future. During my stay, Renu suggested visiting the slums that the kids came from. 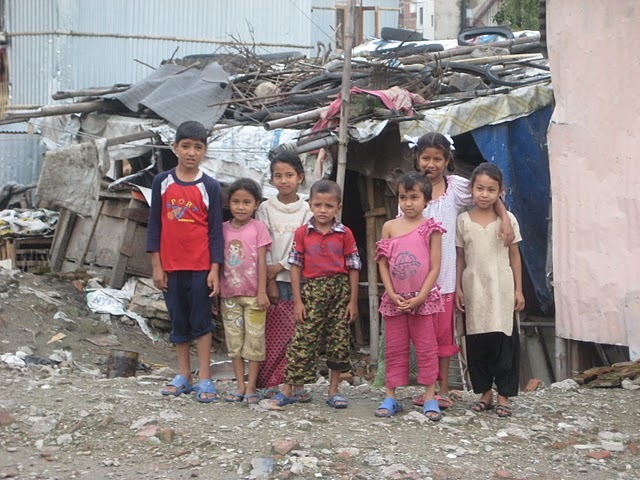 I had some idea of what the slums would look like, but even the twenty minute walk there was unbearable. . We had to cross over a one foot wide stack of bricks over five feet tall to avoid quick-sand like yucky sludge. The huts were very close together and going down the dirty walkways between them was like a maze. Reality hit me further when I went into one of the student’s home - it was dark, small, stale and cold. This was certainly an eye-opener and my visual memory of this visit is an added incentive to continue helping Koseli in the near future. I was surprised to see Koseli’s methods to encourage the children to attend school - luring them with the promise of the basics, a bath and a meal. This concept did not even occur to me; that children would need to be enticed to attend school for reasons other than to do something “interesting.” Perspectives! Koseli’s kids and teachers have hope. It is indeed true that to be without hope is to be without purpose. My experience has given me renewed hope. I sense I have embarked on a meaningful journey and wish to continue it. I have some fundraising ideas for Koseli at my high school and neighborhood. Will keep you posted as they evolve. Good luck Koseli!